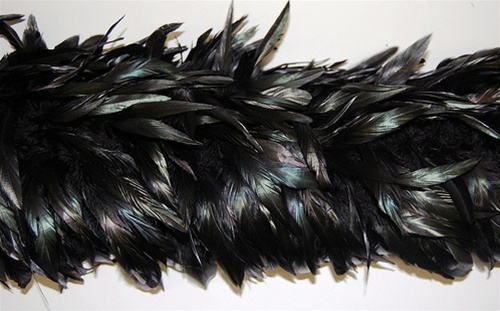 Schlappen Boa, made from Rooster Feathers. This a very popular boa which is Dyed Black and looks Iridescent. 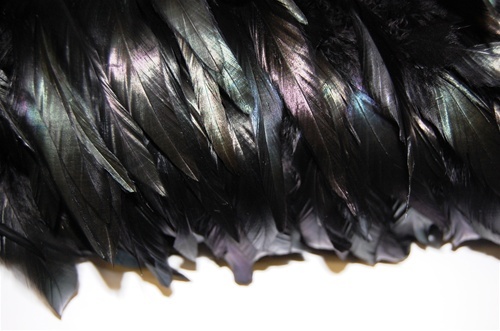 It is a soft rooster body feather. Could be used for Costumes, Theatrical, Carnival, Mardi Gras, and many other functions. Sold in Standard Two Yard Length.